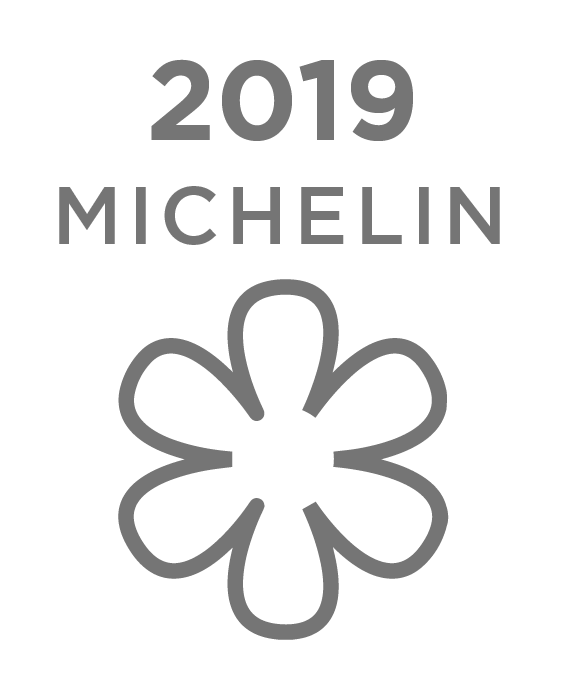 Chef Nozomu Abe's vision to create a superlative dining experience – memorable, intimate, elegant, and a feast for the senses – was inspired by childhood memories of extraordinary fish from his grandfather's seafood company in Hokkaido. Thus, Sushi Noz was born. Conceived like an ancient Kyoto temple, it seeks to transport you to another world, where refinements of time and space are transformative and every moment can be treasured. The décor emulates the Sukiya-style of architecture with its delicate artistry, multiple varieties of cedar, and not a single nail used in the traditional woodwork joinery. 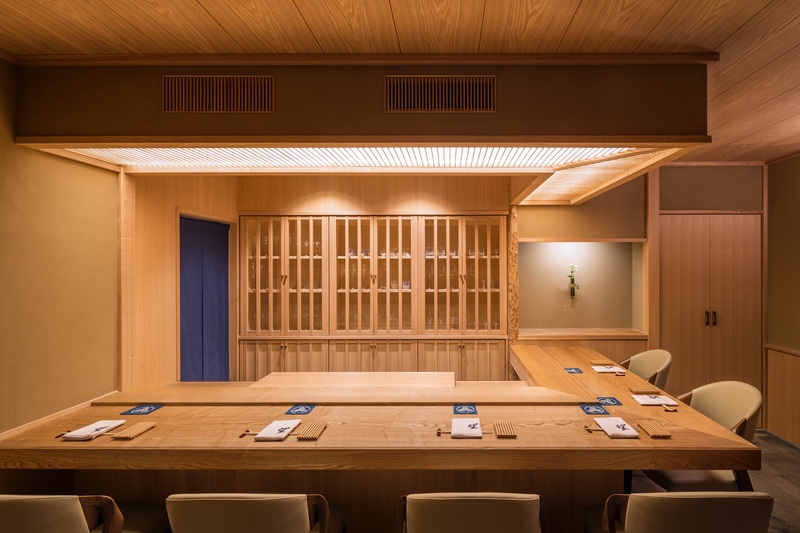 A traditional hinoki ice-chest refrigerator complements the centerpiece of the dining room: a 200-year-old hinoki wood sushi bar. Every subtle aesthetic feature is designed to evoke harmony and a sense of well-being. We invite you to think of sushi preparation as a performance, and our counter as the stage. We welcome you as our audience, to watch as our leading actor, Nozomu-Abe, swiftly and expertly prepares each mouth-watering course for you. Experience our Edomae style tasting menu consisting of 5-6 small plates and a selection of seasonal nigiri served by Chef Noz. Guests are seated at our 200 year old Hinoki wood counter in a room surrounded by a dozen types of cedar woods. Seasonal nigiri takes center stage in our intimate Ash Room. Our tasting menu offers guests a variety of sushi, requests for additional sushi are welcome. Born in Hokkaido, Japan, Chef Noz was from a very young age inspired by the fresh fish and seafood of his grandfather, who owned and operated a seafood company. This provided him his first experiences with ingredients like uni, salmon roe and king crab, which still stand as cornerstones in his cuisine. Chef Noz's culinary journey began as an apprentice in Sapporo. It was here he decided to dedicate himself to the art of sushi. He then moved to Tokyo, epicenter of the centuries-old Edomae style, where he spent years perfecting himself in the techniques of Edomae. This included working with master chefs and preparing dishes with aged, as well as freshly-caught, fish, and traditional vinegar-seasoned rice. In 2007, Noz moved to New York with the dream of opening his own restaurant and bringing his unique style of cooking to an American audience. After three years at the helm of New York's legendary Sushiden, Noz opened his namesake restaurant, Sushi Noz. He welcomes you to enjoy the aromas, sensibilities, aesthetics, and tastes of his life's work. What is your menu like? The Hinoki Counter offers an Edomae style tasting menu, consisting of 5-6 small plates and a selection of seasonal nigiri. The cost is $300 per person. Do you offer a beverage pairing? Yes, our beverage pairing is comprised of a mix of sake, champagne, and white wine. It costs $175 in the Hinoki Room and $105 in the Ash Room. How many seats and seatings do you have per day? The Hinoki Counter can accommodate eight guests per seating. We serve two seatings per day, Monday through Saturday, at 6:00PM and 9:00PM, respectively. The Ash Room seats up to seven people, and has two seatings per day, Monday through Friday, at 6:15pm and 8:45pm. For the Hinoki Counter, cancellations made less than 72 hours before reservation time are non-refundable. In the Ash Room, cancellations made less than 48 hours before the reservation time are non refundable. In either room, for parties of 5 or more, cancellations made less than 5 days before reservation time cannot be refunded. How long does a seating last? 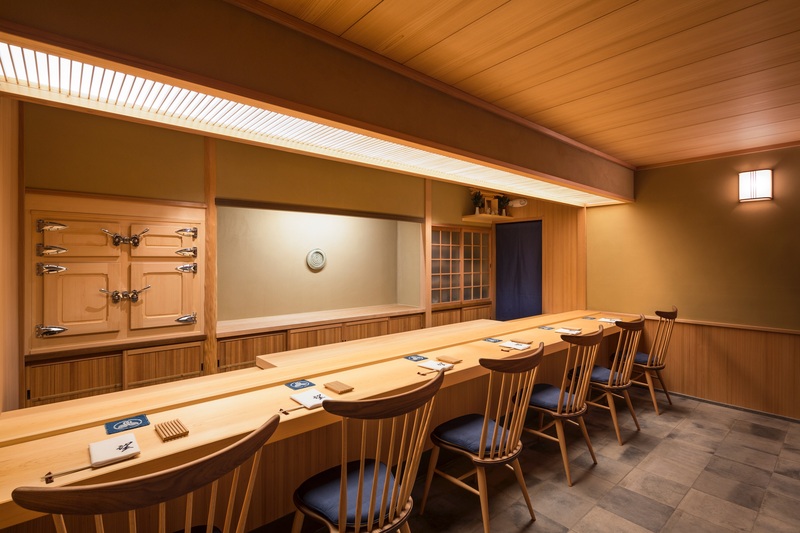 A typical seating will last about 2 1/2 hours at the Hinoki Counter, and 1 1/2 hours in the Ash Room.. Unfortunately, Sushi Noz cannot guarantee the full menu to guests who are more than 25 minutes late. Yes, we charge $100 per bottle, as well an additional $250 sommelier fee if you bring four or more bottles. Yes, with certain exceptions. We must be made aware of dietary restrictions at least 48 hours before reservation time, or else they may not be accommodated. Unfortunately certain dietary restrictions, such as requests for no rice, cannot be accommodated. We cannot accommodate vegetarian guests. We are able to accommodate kosher guests, with due notice. Please be sure to contact us at least 48 hours before your meal to confirm that your dietary needs can be met. We ask that guests limit the amount of perfume they wear, so as not to interfere with the experience of other guests. Please be conscious of the amount of perfume or cologne you apply before your meal. Do you offer private dining or catering? Yes, Sushi Noz offers private dining experiences at our second counter, which can accommodate up to seven guests. Sushi Noz also offers private catering events. For inquiries, please email us at reservations@sushinoz.com.